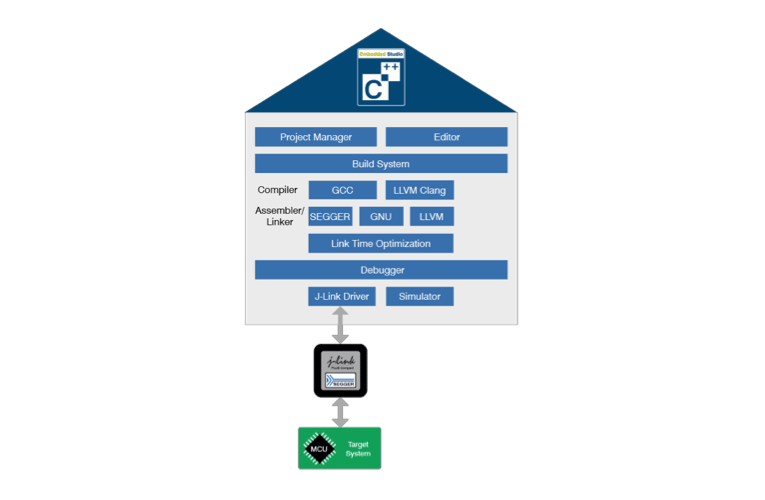 SEGGER released a new beta version of its cross-platform development software "Embedded Studio". The new version focuses on program size reduction, achieving an amazing 5 to 12% on typical applications over the previous version, and even higher gains compared to GCC tool chains. These savings are the result of the new Link-Time Optimization (LTO), combined with SEGGER’s Linker and Run-time library emLib-C. LTO combines all input object files into one module and optimizes the entire application, opening the door for optimizations not available to the compiler itself. The SEGGER Linker adds features such as compression of initialized data, deduplication, as well as the flexibility of dealing with fragmented memory maps that embedded developers have to cope with. Like all SEGGER software, it is written from scratch without any legacy code or legacy thinking, focusing on the requirements of embedded developers. Additionally, the size required by the included runtime library is significantly lower than that of runtime libraries used by most GCC tool chains. "With these new features, Embedded Studio is now getting even more powerful. We are seeing that it is becoming more and more popular. In combination with the SEGGER Linker, Link-Time Optimization allows flash size savings on a scale I never thought possible," says Dirk Akemann, Marketing Manager at SEGGER Microcontroller. "We are proud to support the educational community by having Embedded Studio available free of charge for non-commercial use." Embedded Studio is an Integrated Development Environment (IDE) made by and for embedded software developers. Unlike a lot of other IDEs, it is very fast, intuitive, easy to use and not Eclipse based. It is a complete solution for any ARM based processor, from legacy ARM7, ARM9 and ARM11 devices to Cortex-A, R and M, and comes with a system library that is optimized for embedded systems and GCC and LLVM/Clang compilers. Embedded Studio is platform independent and can be used on Windows, macOS and Linux hosts.